Kicking off a stellar evening of music, The Night Cafe delivered a blissful set to what was already an impressive crowd for such an early billing. Though far from a unique sound, the six-song set from the Liverpudlians was a fantastic introduction for the largely unassuming audience. 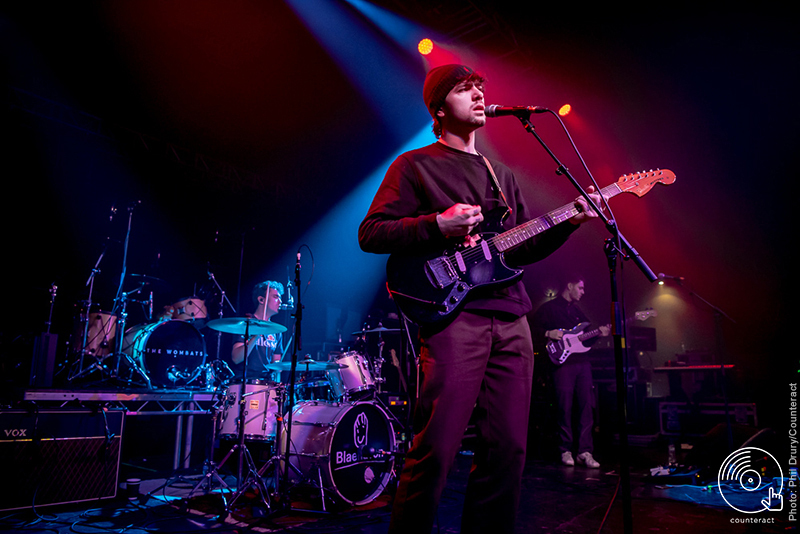 Classic romantic indie pop can so often be dreary and non-engaging, but The Night Cafe are heaps above other bands and cracked the formula, where many others often fail. 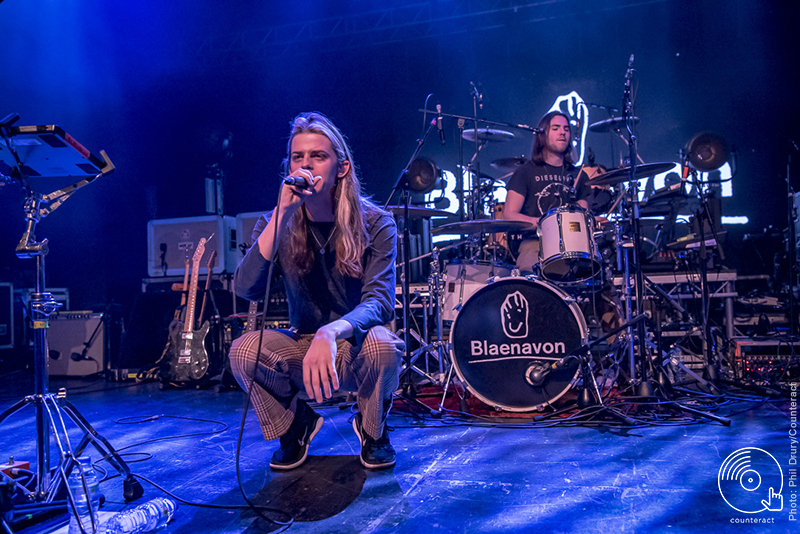 Blaenavon is a pallet cleanser in-between the comparable sounds of TNC and The Wombats, very much holding a 90s-esque vibe to their overall style and sound. Following on from the bands 2017 debut That’s Your Lot, the Hampshire-based band set out to impress, and delivered, as well as giving a taste of the sound evolution with a performance of new single ‘Catatonic Skinbag’. 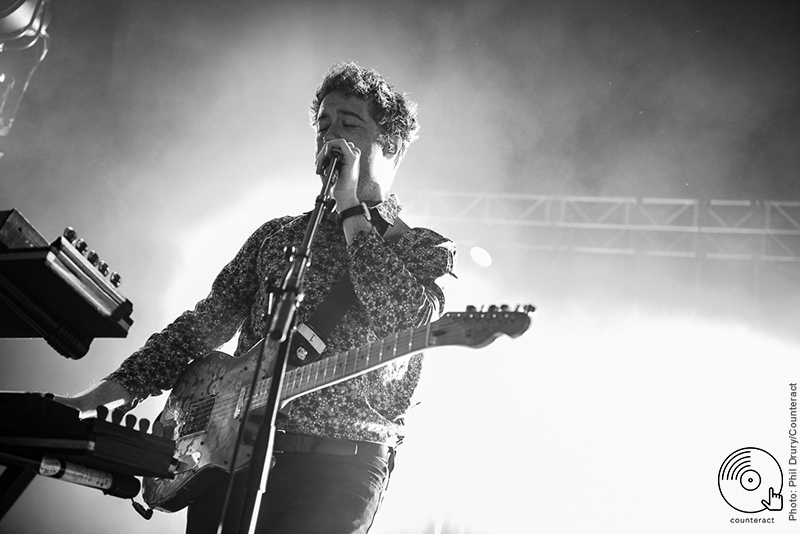 While all well and proper, nothing could quite prepare the crowd for what The Wombats were waiting to deliver. Very much veterans of the touring circus, with their debut A Guide To Love, Loss & Desperation being released way back in 2007, the Liverpool natives offered a 21-track setlist of their absolute greatest hits from a back-catalogue stretching back 12 years and four albums. Kicking things off with 2018’s Beautiful People Will Ruin Your Life opener ‘Cheetah Tongue’, the build up was perfect to tease the audience and build up hype for a mega, nearly 2-hour set. On the coldest night of winter, the feeling of summer was very much in the air, and that wasn’t just due to the intense heat being omitted by the crowd. 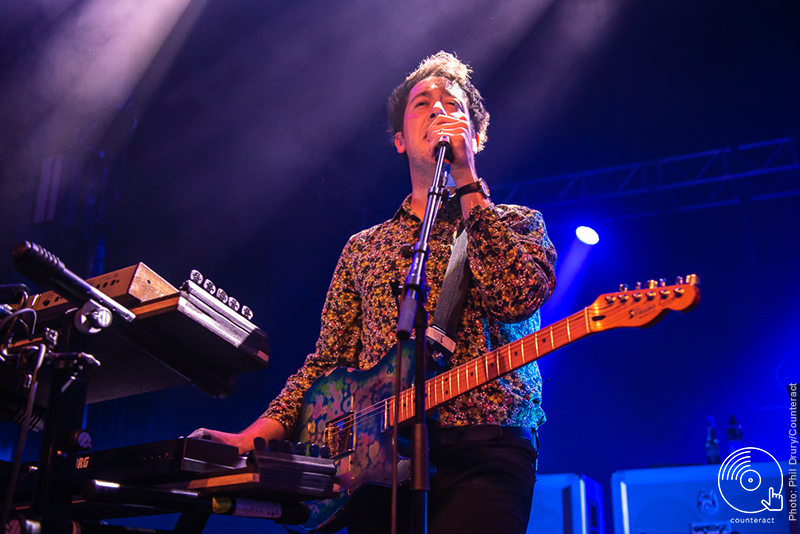 Heading into ‘Moving To New York’ and ‘Jump Into The Fog’ next, what’s made abundantly clear is that while The Wombats music remains so relevant and fresh today, their core sound has been left well intact. The crowds clear love, support and appreciation for the music was clean-cut, everyone moving as one to infectious indie-pop that the band is so prevalent for. 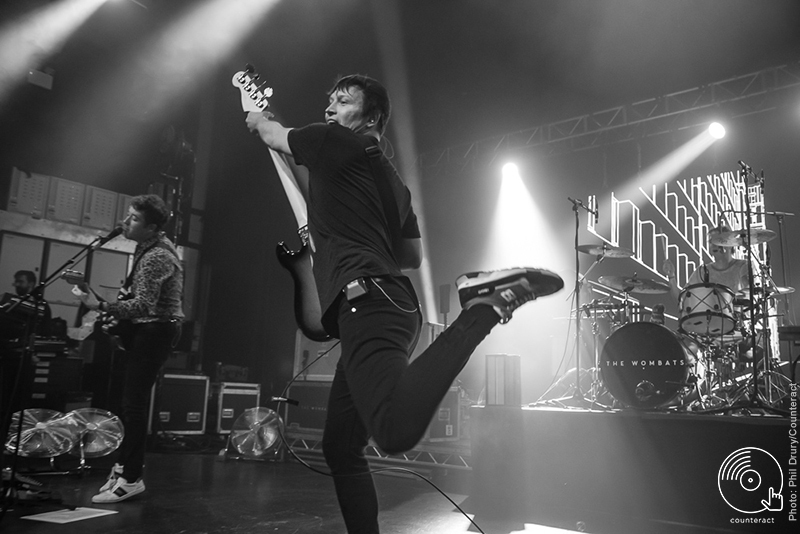 The 2019 tour signified a purpose of intent for The Wombats, they are entirely capable of selling out bigger venues and are able to deliver high octane joy, excitement and frenzy to their shows. Matthew Murphy continues to lead the way, and while a man of few words, it’s clear that the band is eternally grateful for their consistent support and admiration for the music. The tour wasn’t in support of any recent release, instead it acted as a culmination of 12 years of music and a greatest hits showcase, which sadly didn’t manage to cover all fan favourites (Anti-D the most obvious track missing from the set list). But, at 21 songs, Birmingham was not left unsatisfied in the slightest by the collection delivered. Standout performances of ‘Techno Fan’ and ‘Let’s Dance To Joy Division’ sent the entire building into disarray as the audience went completely insane, all before a completely stripped back acoustic version of ‘Lethal Combination’ kicked off the encore, offering the most relaxing moment of the entire set. Ending things with ‘Greek Tragedy’, the audience were allowed to ease themselves back into reality. 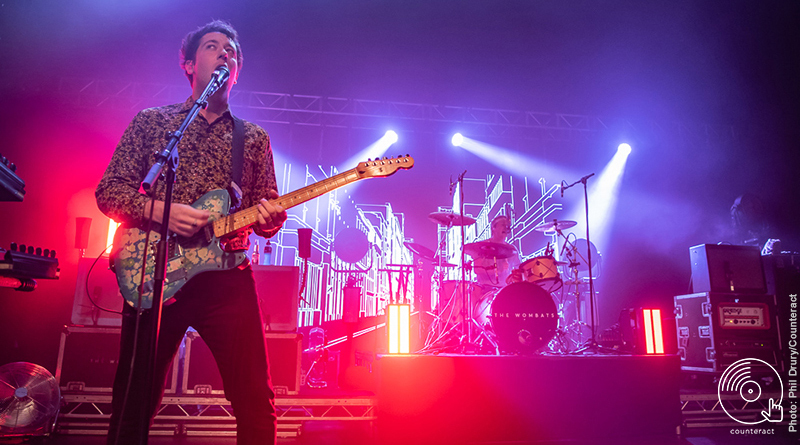 The Wombats well and truly created an inferno on the coldest night of winter, showing they have plenty still in the tank for the years to come, much to the joy of their dedicated fans.